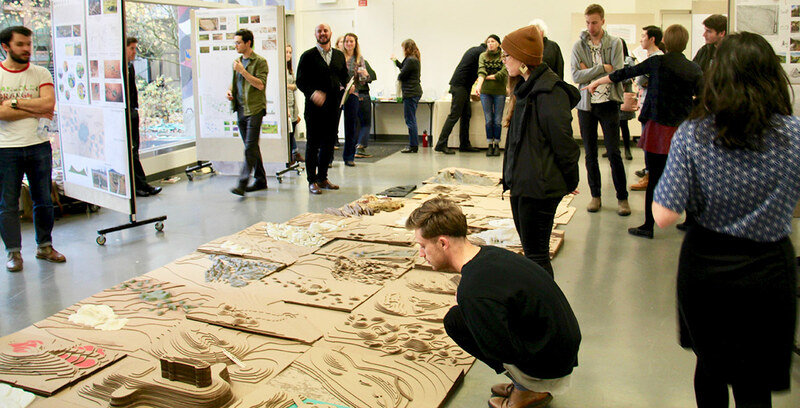 The College of Design’s School of Architecture & Environment (SAE) has launched a visiting faculty fellowship program that spans architecture, interior architecture, landscape architecture, and historic preservation with teaching commitments to begin fall term 2019. SAE is recruiting emerging and distinguished design scholars who will engage communities within and outside of the institution in their research and teaching, and whose scholarship at the intersections of gender, race, ethnicity, indigeneity, sexuality, and economic inequality is enriched by their lived experience. Fellows can teach from two terms to three years beginning as early as September. The term ‘spatial justice’ originates with the scholarship of urbanist Edward W. Soja (Seeking Spatial Justice, 2010) and anthropologist and geographer David Harvey (Social Justice in the City, 1973). In the context of their work, spatial justice is viewed through a geographical lens, looking at the consequences of the organization of space on social justice (e.g., political boundaries, privatization of public lands, urban walkability and accessibility). The SAE initiative goes further, inviting scholars to use the tools of design at all scales to engage the question of spatial, social, and environmental justice. “We are inviting designers to use the tools that they have at hand—emerging technologies, media and fabrication; design and design/build; and community engagement, social practice, or critical spatial practice—to advance thought and to make real-world impact in these areas” said Moore. The initiative will have a considerable impact on the student experience as well. Pippa Bailey (BArch, ’19) and Rowan Atherley (BArch, ’19) said it’s important that faculty represent a breadth of experience. Both co-chairs of the student group Supporting the Advancement of Diversity in Design (STAnDD), they remember taking an architecture studio with Instructor Marziah Rajabzadeh, who trained in Tehran and is currently practicing in Barcelona. “The more diversity and different perspectives included, the more you keep your mind open and creative,” said Atherley. “Each student is going to have a more well-rounded, better base from which to design,” added Bailey. The Design for Spatial Justice initiative builds on the College of Design’s commitment to diversity and equity, following recent developments such as Dean Christoph Lindner’s creation of a Diversity Fellow and new faculty hires in the School of Planning, Public Policy and Management’s to form the Access and Equity Research Group. “This transformation is essential for design professions to tackle problems with an innovative, equitable, and humanistic approach in a world that is increasingly interconnected and complex,” said Lindner. 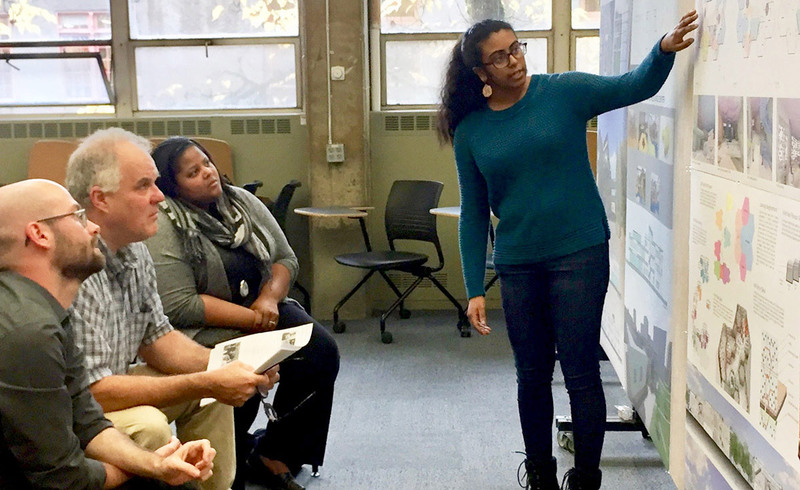 Sandoval, a member of the Access and Equity Research Group, said they hope to collaborate with Design for Spatial Justice scholars in creating an intellectual space to share research and professional practice. An advisory group including Sandoval; Emily Eliza Scott, assistant professor in the History of Art and Architecture and Environmental Studies; Daisy-O’lice Williams, associate professor in Architecture; and Manas Murthy, doctoral student in Architecture, will help shape the direction and impact of the fellowship initiative. SAE is particularly interested in candidates who will teach innovative design studios, subject area courses, and seminar courses in any of these areas: media, design processes, architectural technology, cultural heritage and heritage conservation, inclusive urbanism, feminist spatial practice, design computation, integrated design, habitats/housing, human-centered design, urbanism and/or land use, and materials and methods. Applications are now being reviewed on a rolling basis. Learn more about the positions.